Russian-run accounts have posed as Harry Potter fans and used images of celebrities such as the Harry Potter actress Emma Watson to attract followers on social media. Thousands of young Britons have also watched a Kremlin-financed YouTube channel that has been described as “the Blue Peter of Russian propaganda” which has sought to create confusion about the Salisbury poisoning. The full scale of the Russian social media campaign has been released on Saturday after US researchers analysed more than three million tweets and other social media messages. The Russian-controlled accounts present GM foods and other biotech advances as dangerous, the analysis shows. This comes after The Times has previously revealed how Russian “trolls” promoted discredited theories about the measles, mumps and rubella (MMR) vaccine. Darren Linvill, a specialist in Russian disinformation from Clemson University in South Carolina said: “What they are doing is political ­warfare on an industrialised scale, and it is aimed at all western democracy. Russian accounts have also been reported to be spreading misinformation on Brexit, Scottish independence and London’s terror attacks. Individuals accounts that follow these Russian patterns have gained hundred of thousands of “mentions” and “retweets” this year despite an attempted crackdown by the social media company. 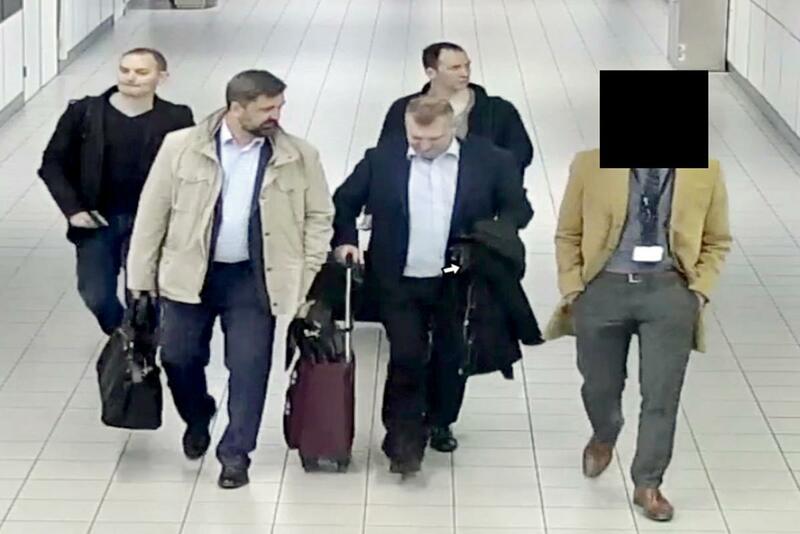 It was revealed on Thursday that US authorities charged seven Russian military intelligence officers for hacking the organisation investigating the poisoning of ex-spy Sergei Skripal and anti-doping agencies. The announcement by the US Justice Department came after the British and Dutch authorities disclosed they have thwarted an attempt by the GRU to hack the headquarters of the Organisation for the Prohibition of Chemical Weapons in The Hague. The social media disinformation ­effort has been led by the Internet ­Research Agency, an operation based in St Petersburg and allegedly funded by Yevgeny Prigozhin, an oligarch known as “Putin’s chef” for his ties to the Russian leader, The Times reported. Another account, Feminist_Tag, posed as a fan of the poet Sylvia Plath. It blended quotes from her poems with messages attacking American intervention in ­Syria, where Russia is backing the ­Assad ­regime. Analysts suspect that the aim is to build a following before ­posting more dangerous content. Ben Nimmo, from the Atlantic Council think tank said: “When the time is right, you insert the disruptive messaging or the divisive messaging. British officials have travelled to Washington this week to meet NATO and G7 allies to co-ordinate a response to Russia. 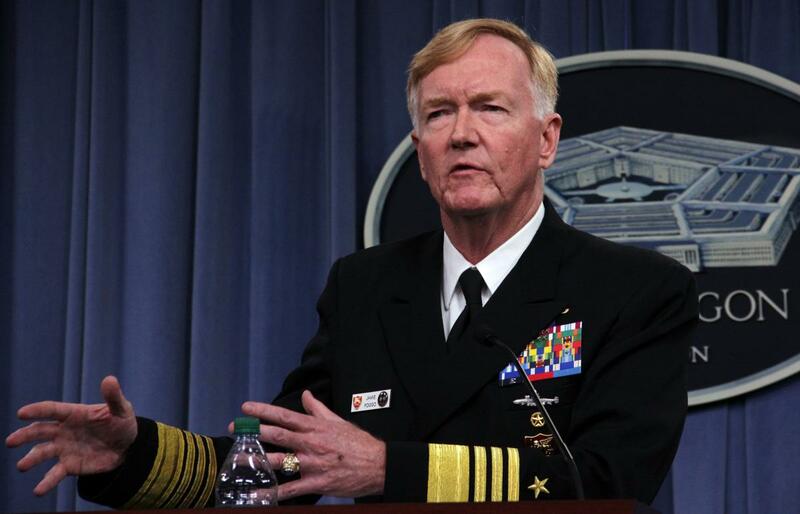 Admiral James Foggo, who heads US Naval Forces Europe and other key commands, addresses Pentagon reporters on October 5, 2018 in Washington, DC. Academics at Clemson University identified nearly three million tweets that had been posted by 2,848 Twitter accounts associated with the Internet Research Agency. They used advanced software to find tweets from deleted ­accounts, which were provided to the US Congress by Twitter. Another researcher tracked down scores of memes that had been ­published on Instagram and Tumblr by accounts also identified by Congress. Other analysts identified other Twitter accounts that exhibited patterns ­indicative of Russian involvement. Twitter said that it had “been taking more proactive steps to tackle platform manipulation and we are now removing more and more malicious activity before it ever appears”. Google, which owns YouTube, said that any interference through its ­platforms was ­unacceptable. Facebook, which owns Instagram, said it faced “sophisticated adversaries, ­including nation states”.